Energy systems are undergoing a major transition away from traditional dispatchable generation towards increasing amounts of intermittent renewable electricity sources. Coupled with this we are seeing the rise of smart grids, electrification of heat, electric vehicles, IOT technologies, battery storage, demand response etc. It is therefore more important than ever in this dynamic energy system that our buildings and infrastructure are designed to be resilient to changing policy and pricing landscapes. The built environment can be a key enabler for decarbonising the electricity sector whilst maintaining energy security, through the substantial opportunity for integrating generation, storage and load response across all energy vectors. With a focus on buildings as aggregators, this research project will investigate how to improve the design of buildings, enabling systems and controls to provide cost and carbon savings in energy networks at a campus and/or neighbourhood scale. 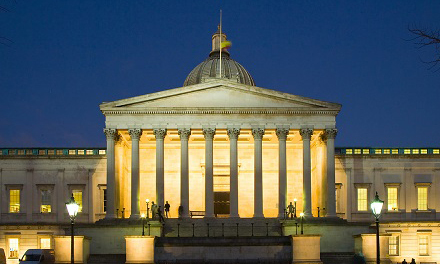 This 3 year PhD project with UCL would be based at BuroHappold Engineering working collaboratively with the Sustainability & Building physics team and cities Energy team. We are looking for a highly motivated individual, with strong visual and verbal presentation skills and report writing ability. An MSc in a relevant field and/or background knowledge in the subject matter is preferred. Stipend: £17,285* and £6,000 for consumables. Further information about stipends can be found here. *based upon an average across three years. Candidates must be either be UK or EU citizens. Information on entry requirements can be found here. 1 page personal statement outlining your curren experience, motivation and eligibility for the post. This should be emailed directly to Teresa Dawkins bseer-phd-admin@ucl.ac.uk with ‘PhD sponsored by BuroHapphold’ in the subject line. The deadline for receipt of all applications is 16 November 2018 at 23:59 GMT applications sent after this date will not be considered.